LONDON -- Britain's most senior official in charge of negotiating the country's exit from the European Union resigned Sunday, two days after Prime Minister Theresa May announced she had finally united her quarrelsome government behind a plan for Brexit. 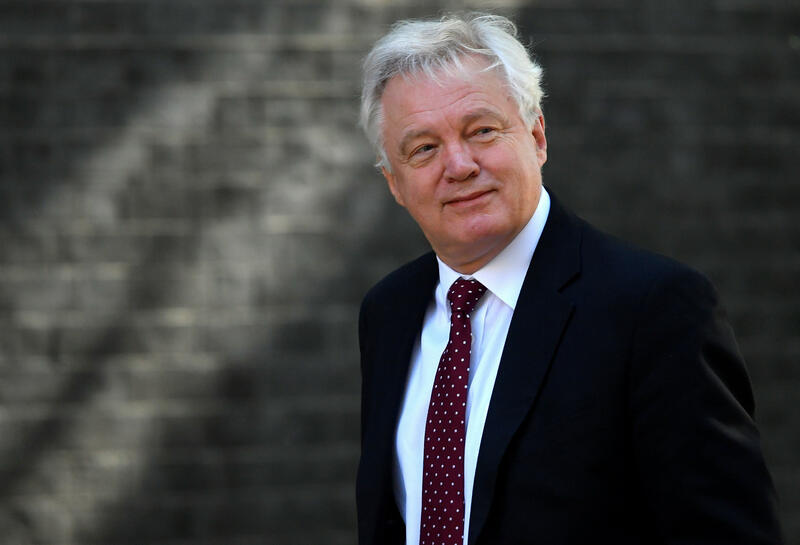 David Davis' resignation comes days after Theresa May secured the cabinet's backing for her Brexit plan despite claims from Brexit supporters, known as Breexiters, that it was too "soft," BBC News reports. The Press Association news agency, the BBC and others said Brexit Secretary David Davis resigned Sunday. A Brexiteer hailed his resignation as a "principled and brave decision," BBC News reported. Davis's late-night resignation undermined May's fragile government. He was a strong pro-Brexit voice in a Cabinet divided between supporters of a clean break with the bloc and those who want to keep close ties. On Friday, Davis and the rest of May's fractious Cabinet agreed on a plan for ties with the EU after the U.K. leaves next year. Conservative MP Peter Bone told BBC News Davis had "done the right thing", adding, "the PM's proposals for a Brexit in name only are not acceptable." Labour Party chairman Ian Lavery told BBC News "this is absolute chaos and Theresa May has no authority left." On Monday, May is due to brief lawmakers on the plan agreed by the Cabinet during its 12-hour meeting. It seeks to keep the U.K. and the EU in a free-trade zone for goods, and commits Britain to maintaining the same rules as the bloc for goods and agricultural products. Less than nine months remain until Britain leaves the bloc on March 29, 2019. The EU has warned Britain that time is running out to seal a divorce deal.